Technological development is being witnessed left right and center, since last few decades. Plenty of technological advances have been a sheer boon, but not all. However, the idea behind the development is to augur the quality of performance that was previously derived from traditional equipment. Soldering through the phase of development the slip ring technology has also advanced proportionately, if not more. The advances could be seen not only in the standard slip ring, but the customized slip rings have also taken a fair share of development cue. The wires that are to be installed in the equipment must be attached to the rotary structure, and this becomes imperative for the equipment, which has a prerequisite of 360 degrees of intermittent rotation. Such equipment also needs to include conductive slip ring which is also to refer to as a rotary electrical connector. 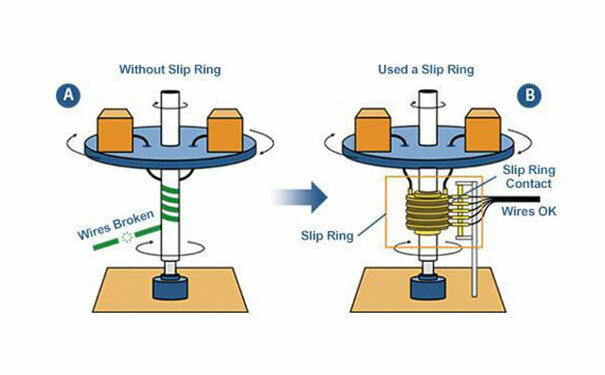 The conductive slip ring falls in the group of the sliding connection application device. They help to transmit image and power and a data signal. It is highly recommended for equipment, again, which rotates intermittently. Probably every second industry uses slip rings in their manufacturing or packaging process. Also, there is a research and development team who have been cushioned with huge funds to come up with new slip ring technology. Having said that, the customized slip ring opens ample opportunities to tweak around with its setup for the slip ring manufacturers. In the past, certain small changes have brought about some significant results. 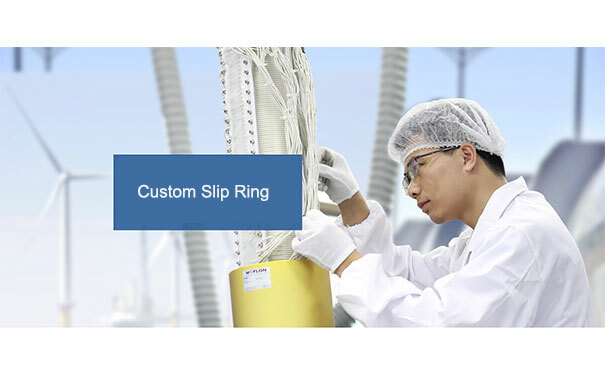 However, the customized slip rings do need to have a certain technical specification in place to obtain positive results from customization. There is plethora equipment out there and each has their own specific requirement pertaining to the size of the slip ring. Thus, during the customization of the slip ring, one has to keep in mind size requirements of the application. The slip rings operate under a certain specific rating with respect to voltage requirements. The kind of insulating material used in the slip keeps a check on the voltage ratings. Some of the common consequences of excess voltage being introduced in the system are internal breakdown, sparks and overheating of wires. The two factors which determine the current rating load is the capacity of electrical conduction and the kind of contact material used. In cases where the electric load rises, it triggers a rise in the temperature of contact position. On the other hand, the increase in the quantum of air in the contact position causes its gasification and separation. These changes would further hamper the functioning of the slip ring big time. Circuits probably are the foundation based on which the entire transfer of electrical signal takes place. Here there are two things which the customer has to look into before including any kind of customization. Firstly, the users need to take into account the number of circuits and kind of circuit required with respect to the voltage, and current suitability.